At the Molly Bear Foundation we assist in providing a better life for familes living with Trisomy 18 up to and beyond that first birthday. By providing supplemental funding we hope to relieve the stress that accompanies raising a child with T18, and help improve the quality of life for those little ones beating the odds. What started with 5 people in 2007 was more than 30 in 2009. You don’t have to be a super-star; all we ask is that you believe in the cause and bring your enthusiasm. Without the help of our generous and caring supporters we could not provide the help these families need. Please consider a gift to the Molly Bear Foundation. Great organizations we are proud to call partner. Every donation, big or small can make a difference. Opportunites are available, contact us for more info. 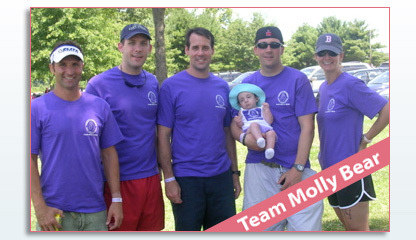 Learn of the profound impact Molly had on so many, in such a short period of time. The Molly Bear Foundation is named in living memory of Molly Elizabeth Brown, who was known as Molly Bear by her friends and family. 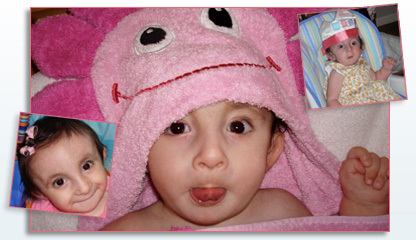 In the 19 months she spent on this earth she touched the lives of hundreds of people. This Foundation was created to honor her legacy, and extend the wonderful community of support that rallied around Molly to other families facing similar challenges. Read more about Molly's Story. Without the help of our generous and caring supporters we could not provide the help these families need. 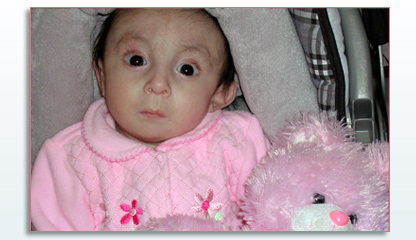 Please consider a gift to the Molly Bear Foundation and make a difference in the lives of these families. You can make a one-time gift or a monthly contribution. Every little bit helps. Make your gift today by visiting our Donate page.